A taste of Thai! This unique combination of flavors will awaken your taste buds and become a new favorite. From the spices in the chicken marinade to the tangy peanut sauce, this chicken satay definitely delivers the heat! Rinse chicken thighs; pat dry. Cut chicken into strips about 1-inch thick by 3-inches long. Place remaining ingredients along with the chicken into a large resealable plastic bag to coat the chicken and combine all the flavors. TIP: If you'd like for a more powerful flavor allow the chicken to marinade for 3-4 hours in the refrigerator. Thread chicken lengthwise onto 8 (6") skewers. Preheat contact roaster. Place skewers directly on surface of roaster and cook, covered 5 minutes. Turn skewers and cook 5 minutes more or until chicken is done (160°F). Serve with your favorite peanut sauce. 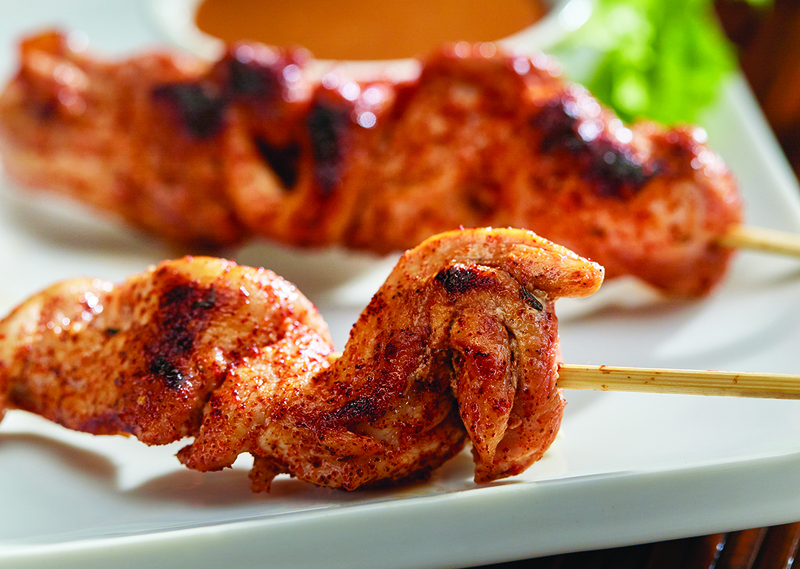 Tip: Soak skewers in water before using to prevent charring.